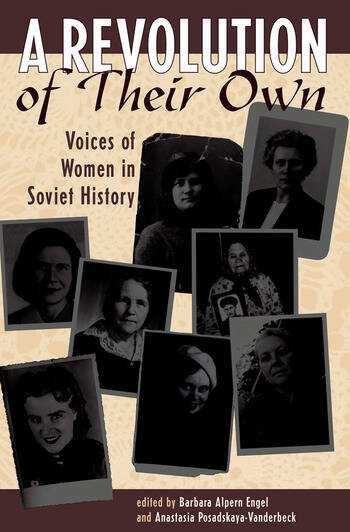 The stories of these eight Russian women offer an extremely rare perspective into personal life in the Soviet era. Some were from the poor peasantry and working class, groups in whose name the revolution was carried out and who sometimes gained unprecedented opportunities after the revolution. Others, born to ?misfortune? as the daughters of nobles, parish priests, or those peasants termed well-to-do, suffered bitterly as enemies to a new government. The women interviewed here speak candidly about family life, work, sexual relations, marriage and divorce, childbirth and childbearing, and legalized abortion and the underground pursuit of such services after abortion was outlawed in 1936.As no previous book has done, A Revolution of Their Own illuminates the harsh reality of women's daily lives in the Soviet Union as well as reveals the accomplishments made possible by the expanded opportunities that the new Soviet government provided for women. Their stories show why many Russian women continue to take pride in the public achievements of the Soviet period despite, or perhaps because of, the painful price each was made to pay.